So I mentioned a few weeks ago that I was going to be doing a blog post series this summer about me trying to lose 10 lbs. Here is week 1! I wanted to do this to lose a little more of the baby weight I packed on with my baby boy, who is now 5 months old! I started last week and this week I am keeping it going still. I am usually not very good at keeping up with exercising and eating healthy, but I have been doing good so far and I hope by doing this blog post series I will be able to keep it up. When I would start to exercise in the past, I would usually start off extreme which then makde me want to stop and not continue. I have learned that starting small and gradually increasing is the way to go! Lately I have been finding it hard to stick with a super healthy diet. It is also so expensive to eat nothing but healthy foods and snacks all day. So I have been doing good at eating healthy in the morning, eating whatever I can find for lunch in moderation, and trying to cook a somewhat healthy dinner. My goal for dinner is to always have a meat and a vegetable. I find that eating a little heather each day is better than not eating healthy at all. I just need to be mindful of not binge eating through the day on junk, which has been hard because it became a habit. Moderation through the day is the key for me. When I want to snack I have been doing good at grabbing an apple, banana, or yogurt. I try not to keep lots of junk food in my home. I did buy some candy this week, but I am not consuming the whole bag in 24 hours, which is good! Breakfast choices I usually eat from - oatmeal with a fruit, whole grain cereal with honey, or yogurt and a fruit. Lunch choices I usually eat from - soup, hot pocket, cereal, or small frozen burrito. My choices for lunch aren't super healthy, I know. Dinner choices I usually choose from - When it comes to dinner I will usually cook something rather than eating processed foods. I will always use a meat and a green vegetable. We usually have chicken, small amounts of beef, or fish. Snacks through the day - fruit, yogurt, oatmeal bar, or peanut butter on wheat bread. *Remember to drink lots of water. Water will boost your weight lose. My son and I walk to the park just about everyday. When we get to there we walk around the path about three times and then head home. Sometimes we take a break and sit on a blanket in the grass and enjoy the morning. I will usually bring a bottle of water and a healthy snack with me. Usually an apple. When I get home I will do some workouts and stretching. Arms - I will lift light weights to start, to gradually build strength in my arms. I also workout my shoulders with weights as well. Tummy - To work out my tummy I will do several sets of crunches. I also do a combination of Pilates and yoga moves to strengthen my core. I will do a few planks and hold them for as long as I can. Legs - For my legs I will lay on my side and lift and lower to build resistance. I also stretch them out after walking. Next week I will give detailed explanations of each workout I do. I might do pictures or a video to show how I do each one. Remember to workout at a pace that fits your needs and situation. Do not over push yourself. Do not give up! I am only wanting to lose 10 lbs over this summer. It is such a small number but I will keep pushing myself to do it. There will be weeks where you won't want to get out of bed let alone do a workout. You will thank yourself for pushing through it. Also remember, when you hit your goal weight keep going. Make this a habit that sticks and that it apart of your daily life. You will feel better and gain more confidence! Be Happy, Feel Good, Look Great! Happy Summer! What are some tips you could give all of us about weight lose? What are some healthy habits and workouts you do? 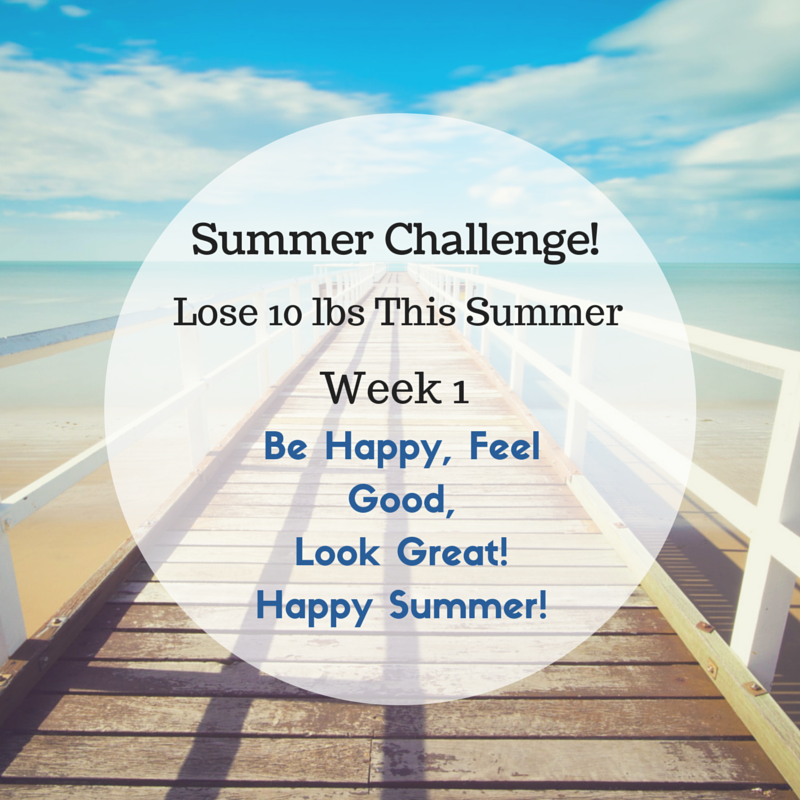 Upcoming: For this summer I am planning a blog post series about my journey to loose 10 lbs. It will be replacing the "Thrifty Thursday" posts for the duration of the summer. I will share with you my plan and some tips. I will keep you updated with my progress each week. I am so excited for this series. I know there are many of you out there who are finding it difficult to loose just a few pounds. I am one of those people! Hopefully this series will do the trick for stubborn weight lose. So what I am asking from all of you are some tips and tricks that you have used in the past to help shave off about 10 lbs over the summer. Please leave some suggestions below! Thank you! **My ebook is for sale now! Buy it for only .99 cents!